San Ramon City Center will accomplish the long sought after objective of establishing a community-gathering place and town center. The project will encompass approximately 2.1 million square feet of leasable space on 39 acres. The City of San Ramon owns 17 acres and Sunset Development Company owns 22 acres. San Ramon City Center will feature a unique neighborhood atmosphere blending together community gathering, living, shopping, working, and dining experiences. The City Center will include a variety of community elements: a citizens’ gathering place and plaza (about the size of a football field); approximately 635,000 square feet of high-quality retail; and a new City Hall and Library that will comprise approximately 110,000 square feet. Above the retail space will be 488 residential units and a 169-room hotel. Additionally, a 682,000 square foot commercial office complex will be developed. 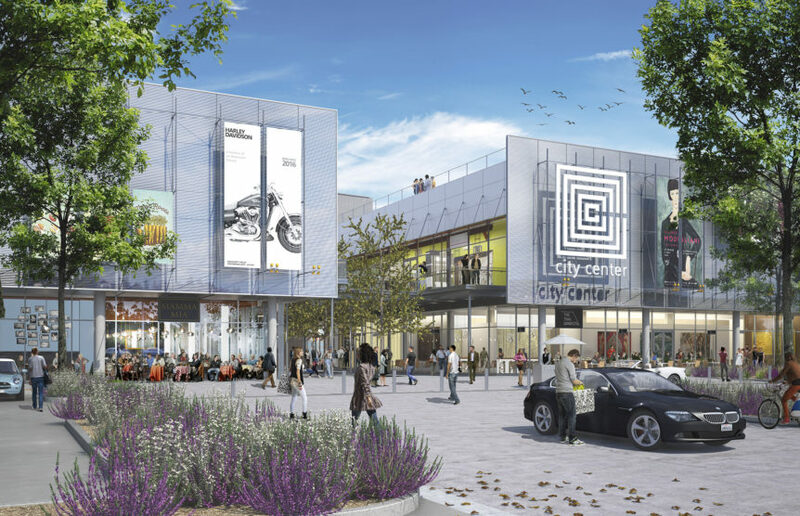 San Ramon City Center also will include a cinema and approximately 100,000 square feet of restaurant space.